Leftover turkey from Thanksgiving is delicious! It can be used in so many ways! 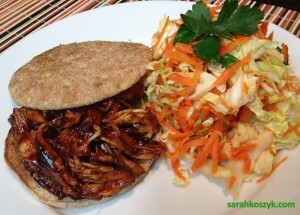 I LOVE barbecue so I LOVE making pulled sandwiches with barbecue sauce. This recipe is very fast with minimal prep. The cabbage slaw gives you a salad on the side, too! 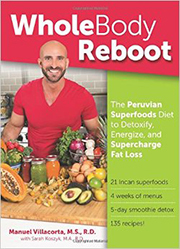 So you’ve got an entire meal in minutes. ***You can always do this recipe with pork or chicken, too. If using raw meat, simply put the raw chicken breast or pork loin into a pot, add the barbecue sauce, cover and cook until heated through (about 8-10 minutes depending on how big the meat is). Remove from the heat and use a fork to shred. Using leftover turkey from Thanksgiving, shred the turkey with a fork. 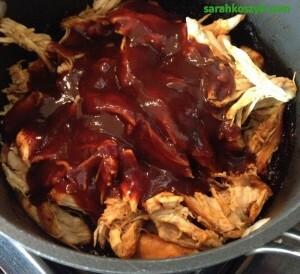 Over low heat, warm the turkey with the barbecue sauce in a pot for about 5 minutes. 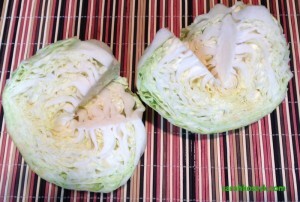 While the turkey is soaking up all the barbecue flavors, cut the cabbage in half, core it, shred it, and put in a large bowl. Grate the carrot. Chop the parsley. 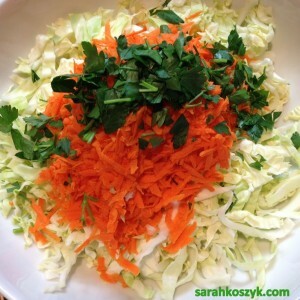 Add the carrot, parsley, vinegar, oil, and salt to the bowl. Toss. Toast the bread in a toaster. Top each sandwich with 4 oz of turkey. 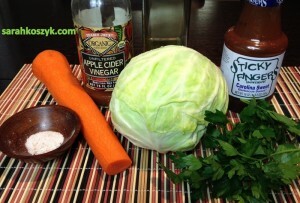 You can add the cabbage slaw to the sandwich and/or eat it on the side.